Millions of Palm Trees! That’s Darwin!! 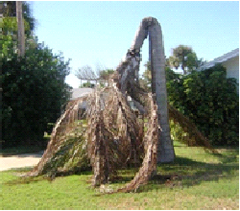 Being professional Lumberjacks we have the equipment and training to remove palm trees - Climbing Cuban Royals & Carpentaria Palms is the hardest climbing we do, but as you can see we are able to safely remove very tall palms from down the side of your home. 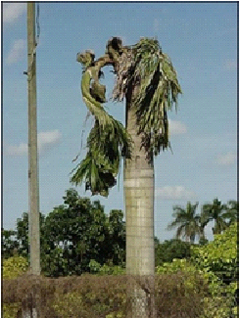 Sometimes only a Crane is the way to safely remove a palm, we have the High Risk Licence to do this . . . but it is our “Last Choice”! This keeps the cost down for you. 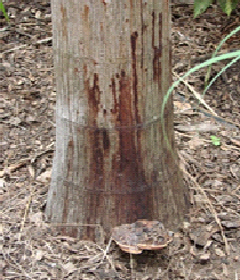 We also De-nut Coconut Palms & De-berry Carpentaria Palms Remove Palms from restricted access areas. 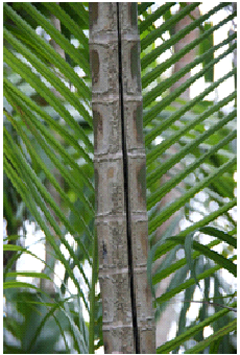 It’s not just Termites that kill palms around Darwin, here is a selection of photos showing typical examples.